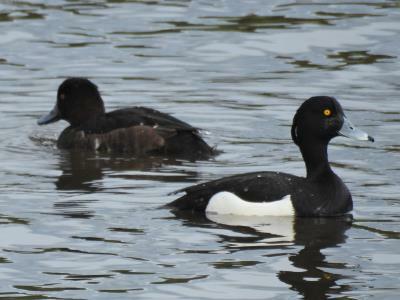 Male and Female - Drake and Duck - Top Picture.. The 'Tuft' isn't always easy to see but the colouring, the strong yellow eye and the grey/blue bill are good pointers to look out for.. 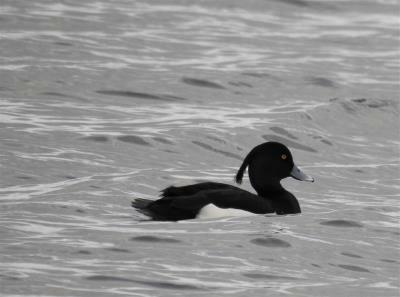 I've been to a number of local ponds/lakes over the last few weeks and there have been Tufted Duck present at all of them.